The late sixteenth century was a time of outlandish and excessive fashions – what better for a Society where we deliberately dress up in funny historical clothing? This survey will introduce the elements of a gentleman’s wardrobe in western Europe from 1570 to 1600 and cover the many, many interesting clothing options a reenactor has when selecting a suit of clothes for this era. The late sixteenth century affords members of the SCA and other historical reenactors a wide variety of ridiculous and awesome clothing options. 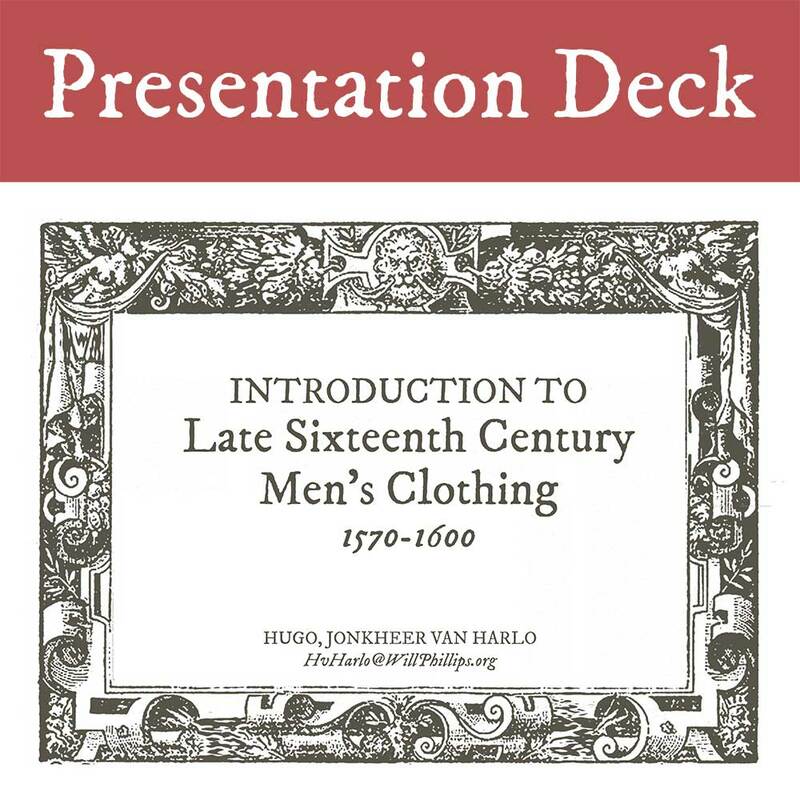 However, that sense of choice and the abundance of source documentation to reference can be overwhelming when looking to find examples of men’s clothing in the late sixteenth century. This class is a survery of the various elements – and styles and options within – of a gentleman’s wardrobe during the era. It will organize and provide reference pictures for these many options in an attempt to familiarize attendees with their many options. The goal is education in aesthetic and typology, rather than a practicum on sewing and construction methods. Goal: Introduce the many options in styles, cuts, and decorations of the clothes gentlemen wore in western Europe, c.1570-1600. Share resources to learn more. Not teach anybody to pattern or sew a damn thing.